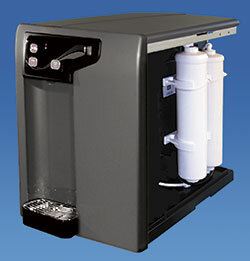 Lo-Profile Countertop Water Cooler with higher capacity makes a continuous supply of clean, great tasting water for up to 30 people. 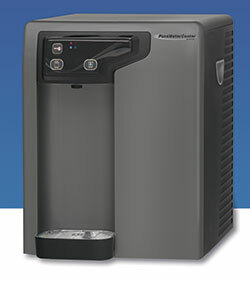 Upscale 2-temperature bottle-less cooler that is only 16.5” tall and fits under standard cabinets. 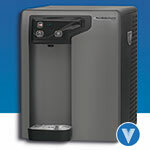 A sleek, upscale 2-temperature bottle-less cooler that is only 16.5” tall and fits under standard cabinets. Use the existing water source to make a continuous supply of clean, great tasting water for up to 30 people. • High efficiency sealed compressor.